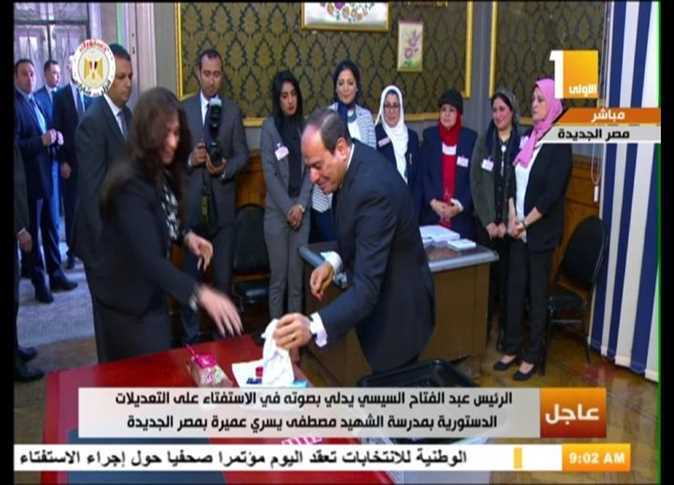 Constituional Amendments, News, Politics, Cairo, Egypt, Constitution,CAIRO – 22 April 2019: Sub-committees in Beheira Governorate began ballot counting late on Monday for a referendum on 14 amendments to the Egyptian constitution.The National Election Authority announced results of the voting process would be announced shortly after ending the three-day voting.Deputy Chairman and Spokesperson of NEA Judge Mahmoud Helmy Sherif stated that the turnout was high, and that no complaints regarding the referendum process were submitted so far.The referendum is observed by 22 international organizations and entities including 14 embassies, the European Union, and the Arab League. That is in addition to 58 local organizations.The new amendments would increase the presidential term from four to six years, allocate 25 percent of parliamentary seats to women, re-introduce the Shura Council and reinstate the vice president post.The referendum voting was being conducted in 10,878 polling stations and 13,919 committees, while the number of judges supervising the referendum is about 20,000, assisted by some 120,000 employees.President Sisi was first elected president in 2014 after a popular uprising that sacked the Muslim Brotherhood regime. He was re-elected last year in a landslide victory where he secured 97 percent of the vote. FILE PHOTO: Apr 14, 2019; Columbus, OH, USA; A view of the Stanley Cup Playoffs logo on a hat in the team store prior to game three of the first round of the 2019 Stanley Cup Playoffs between the the Tampa Bay Lightning and the Columbus Blue Jackets at Na(Reuters) - The National Hockey League said on Monday it would purchase carbon credits to offset airline emissions of heat-trapping greenhouse gases during the Stanley Cup playoffs.For the first round of the playoffs, which has the highest number of teams traveling and is currently underway, the NHL will offset more than 465 metric tons of carbon emissions, equivalent to taking 99 cars off the road for one year.The league will purchase the offsets from Portland, Oregon-based Bonneville Environmental Foundation, which operates offset projects that capture or cut greenhouse gases emitted from animal waste, landfills and fossil fuel use.The announcement, which coincides with Earth Day, is part of the NHL’s efforts to address climate change.Last season the NHL published its second Sustainability Report, which examined its commitment to ensure all levels of hockey — from the frozen ponds it was invented on to professional arenas — thrive for future generations.The report estimated that in the coming decades the average length of the skating season may shrink by one third in eastern Canada and by 20 percent in western Canada.In response the league has ramped up efforts at its arenas to cut carbon emissions, reduce waste and conserve water, among other initiatives. FILE: The referendum voting was being conducted in 10,878 polling stations and 13,919 committeesCAIRO – 22 April 2019: Ballot counting for a referendum on 14 amendments to the Egyptian constitution began late on Monday after polling stations nationwide closed their doors.The National Election Authority announced results of the voting process would be announced shortly after ending three-day voting.Deputy Chairman and Spokesperson of NEA Judge Mahmoud Helmy Sherif stated that the turnout was high, and that no complaints regarding the referendum process were submitted so far.The referendum is observed by 22 international organizations and entities including 14 embassies, the European Union, and the Arab League. That is in addition to 58 local organizations.The new amendments would increase the presidential term from four to six years, allocate 25 percent of parliamentary seats to women, re-introduce the Shura Council and reinstate the vice president post.The referendum voting was being conducted in 10,878 polling stations and 13,919 committees, while the number of judges supervising the referendum is about 20,000, assisted by some 120,000 employees.President Sisi was first elected president in 2014 after a popular uprising that sacked the Muslim Brotherhood regime. He was re-elected last year in a landslide victory where he secured 97 percent of the vote. FILE: The NEA is expected to announced the result of the entire vote shortly, for both Egyptians at home and abroadBefore vote: Know about powers granted to president by constitutional amendments CAIRO - 16 April 2019: The parliamentary legislative subcommittee, headed by Parliament Speaker Ali Abdel Aal, approved on Sunday a set of proposed constitutional amendments paving the way for the Parliament to hold a final vote on them on Tuesday. CAIRO – 22 April 2019: Polling stations nationwide in Egypt closed their doors late on Monday, concluding the third and final day of voting in a referendum on 14 amendments to the constitution.Deputy Chairman and Spokesperson of the National Election Authority (NEA) Judge Mahmoud Helmy Sherif stated that the turnout was high, and that no complaints regarding the referendum process were submitted so far.The referendum is observed by 22 international organizations and entities including 14 embassies, the European Union, and the Arab League. That is in addition to 58 local organizations.The new amendments would increase the presidential term from four to six years, allocate 25 percent of parliamentary seats to women, re-introduce the Shura Council and reinstate the vice president post.The referendum voting was being conducted in 10,878 polling stations and 13,919 committees, while the number of judges supervising the referendum is about 20,000, assisted by some 120,000 employees.The NEA is expected to announced the result of the entire vote shortly, for both Egyptians at home and abroad.President Sisi was first elected president in 2014 after a popular uprising that sacked the Muslim Brotherhood regime. He was re-elected last year in a landslide victory where he secured 97 percent of the vote. President Abdel Fatah al-Sisi received the African Commission on Human and peoples’ Rights (ACHPR) delegation in Cairo Monday,CAIRO, 22 April 2019: President Abdel Fatah al-Sisi received the African Commission on Human and peoples’ Rights (ACHPR) delegation in Cairo Monday, where he urged them to “closely observe” the situation in Egypt.Headed by Soyata Maiga, ACHPR heard a preview by Sisi about the developments and efforts exerted over the last few years to improve economic, social, service and living standards.The president emphasized that promoting human rights is one of Egypt’s priorities in Vision 2030.He referred to the achievements accomplished thus far in eliminating slums and unsafe areas, providing over a million of their inhabitants with proper housing.Social housing for young people, the major anti-Hepatitis C campaign that erased patient waiting lists, the “unprecedented educational makeover,” and the empowerment of women, people with special needs and the youth were also among the projects Sisi highlighted in the meeting.He also emphasized the state’s role in promoting religious tolerance, acceptance and coexistence, as well as entrenching the concept of citizenship.As Egypt hosts millions of expats and refugees, Sisi said they practice all their rights and activities freely according to UN conventions.On Saturday-Monday, ACHPR held a forum in Sharm el-Sheikh to discuss detention, combating torture and ill-treatment.The forum also tackled issues of displacement and immigration, activating the economic and social rights, protecting the minorities and promoting cultural freedoms.Over 120 participants from 70 Egyptian, African and international organizations are participating in the forum.The organizations include the Egyptian Organization for Human Rights, the Arab Organization for Human Rights, the African Center for Democracy and Human Rights Studies, Human Rights Watch, Amnesty International and the International Federation for Human Rights.Moreover, the forum focused on the importance of the role played by the civil society in boosting and enriching human rights in Africa, as well as a number of main issues related to the democratic transaction in several countries including Algeria and Sudan. Huawei LogoShenzhen, China, April 23, 2019: Huawei today announced its business results for the first quarter of 2019. The company's net profit margin in Q1 2019 was about 8%, slightly higher than the same period last year. As of the end of Q1 2019, Huawei had shipped more Wi-Fi 6 products than any other company worldwide.Huawei's Consumer Business Group continues to create value for consumers with its innovative products. In Q1 2019, Huawei shipped 59 million smartphones. In Q1, HUAWEI CLOUD services were launched in Singapore, and HUAWEI CLOUD releasedits AI model market. The president also urged creating an ambitious and progressive plan of action to activate the Arab strategy to invest in youth energies and combat extremism.The Arab ministers commended the importance the political leadership attaches to the youth and sports fields, especially through adopting many interactive initiatives with youth, and holding national, regional and international events and conferences in this regard, Radi said.During the 63rd session of the Executive Office of the Council, Egypt's Youth Minister Ashraf Sobhi, who is also the head of the executive office of the council, will be reviewing a report of the Youth and Sports Ministry on the activities of "Cairo Capital of Arab Youth 2018. "The Tunisian Youth and Sports Ministry will make a presentation on the activities of "Tunis Capital of Arab Youth 2019. "The meetings of the executive office will witness a wrap up of the activities of "Cairo Capital of Arab Youth 2018. "At the opening session of the Economic and Social Council (ECOSOC) Youth Forum in Washington, Sobhi said that empowering youth is a "top priority" for President Sisi, as youth are the "cornerstone and focus of Egypt's vision for sustainable development 2030. "Sobhi said that his ministry is implementing a number of initiatives and programs to ensure youth's full participation in the political, social, cultural and economic fields.The ministry also launched a campaign, titled "Development and Change" to bridge the skills gap in the labor market, he added.The minister added that Egypt has about 4260 youth centers to provide sports culture and special programs to enhance the political and social role of youth. Egyptian Ambassador in Germany Dr. Badr AbdelattiBerlin - 22 April 2019: Egyptian Ambassador in Germany Dr. Badr Abdelatti praised a high and diverse turnout at the constitutional referendum in Germany. 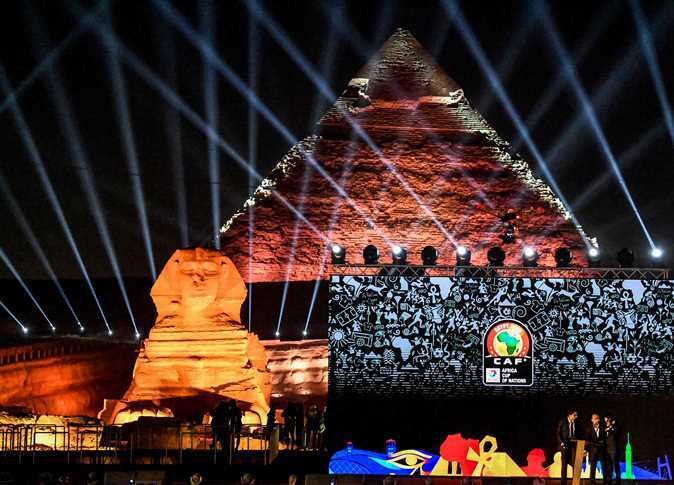 “Many youths participated, especially on the second day; this reflects a desire to redraw the future of the political, economic and social life in Egypt... There was a big presence of female voters and elderly voters were also keen to take part,” Dr. Abdelatti said.The Egyptian community in Germany were able to cast their votes at three ballot points in Berlin, Hamburg and Frankfurt. “I am very happy with the level of participation and the diversity,” Dr. Abdelatti said.The Egyptian ambassador further affirmed that the embassy was encouraging all citizens to practice their constitutional right, without any intervention in their votes. 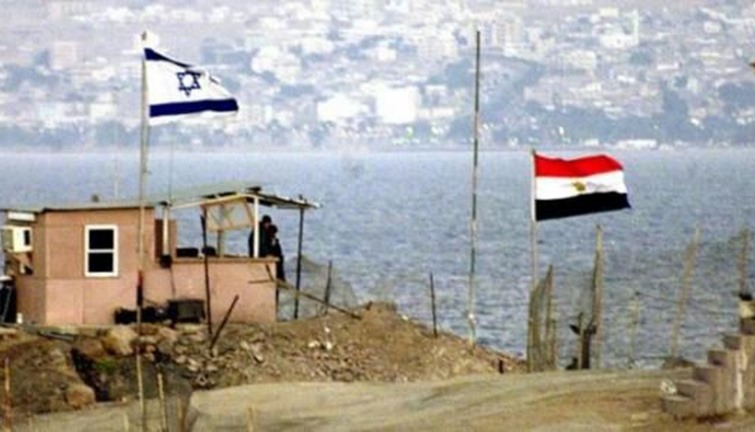 “This is thanks to the consecutive visits of the Egyptian President to Germany. FILE- Minister of Antiquities Khaled el AnanyCAIRO, 22 April 2019: Minister of Antiquities Khaled el Anany said Monday the number of foreign missions working in Egypt in the fields of archaeological excavation rose to an unprecedented number.During the inauguration of the fourth forum of archaeological missions in Egypt, the minister said some 250 missions from 25 countries, including 80 Egyptian ones, are working at many archaeological sites across the country.The minister said the forum gives a chance for all missions to exchange expertise in the field of excavation, pointing out that a total of 23 researches had been exchanged.Experts from France, Germany, Poland, Austria, Italy, the United States, Switzerland and other countries attended the forum. Poroshenko, 53, had tried to rally voters, casting himself as a bulwark against Russian aggression and a champion of Ukrainian identity. If someone else had made it to the second round, people would have voted for them instead,” said Kondrashov. 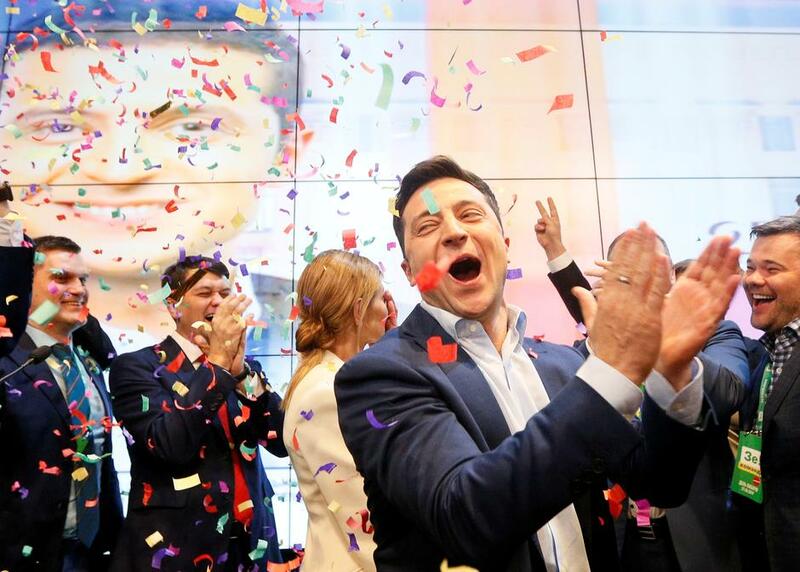 Declaring victory to emotional supporters at his campaign headquarters on Sunday night, Zelenskiy promised he would not let Ukrainian people down. “I’m not yet officially the president, but as a citizen of Ukraine, I can say to all countries in the post-Soviet Union look at us. Zelenskiy has repeatedly denied he would seek to hand PrivatBank back to Kolomoisky if elected or help the businessman win compensation for the ownership change. 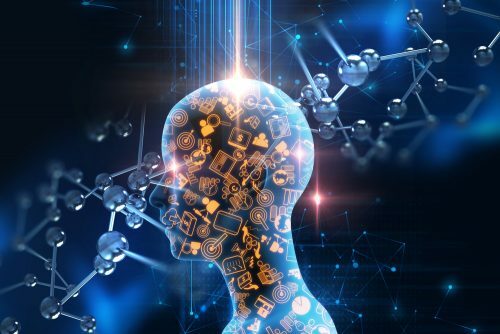 Avidbeam, an Egyptian AI (artificial intelligence) startup, has been selected among the top 20 developing companies in the world. The company has boomed in varied sectors including video surveillance, retail, perimeter, security, and automotive industries, prompting CIO review to feature Avidbeam in 2017 as one of the most influential startups in the industry. For some video analytics, in order to achieve high accuracy, they must run high resolution,” Elgebaly noted in a prior interview with MENAbytes. Newly established Egypt Ventures, an investment firm supporting entrepreneurial communities, recently decided to invest in Avidbeam. Heba Ali, Managing Partner of Egypt Ventures, sat down with MENA bytes and expressed Egypt Ventures’ excitement to collaborate with the Egyptian startup that she allegedly described the entrepreneurial establishment of deep tech in Egypt. FILE – Sahar NasrCAIRO – 22 April 2019: Cypriot Investments in Egypt recorded $400 million with the existence of 224 Cypriot companies working in fields of industry, tourism, service and energy, according to Chairman of the board of directors of Cyprus Investment Promotion Agency Michaelis Michael.Michael added that his agency is encouraging investors to pump new investments in Egypt.This came during a meeting held between Egypt’s Minister of Investment Sahar Nasr and a delegation from Cyprus headed by President of the Cypriot Parliament Demetris Syllouris in the presence of Chairman of the board of directors of Cyprus Investment Promotion Agency and a number of members from the Cypriot Parliament.The minister stressed Egypt's keenness to strengthen its relations with Cyprus and increase the volume of investment between the two countries, noting that the Egyptian government welcomes Cypriot investors in Egypt and has worked continuously on legislative reforms to improve the investment climate.She noted that the Egyptian Parliament, headed by Ali Abdel Aal, supports the investment climate.Nasr pointed to the areas of cooperation between the two countries, where three memoranda of understanding have been signed in the last joint committee between Egypt and Cyprus, including one to strengthen the bilateral investment relations between the two countries to facilitate foreign direct investment procedures and encourage parties to exchange business delegations and promote joint investment-related activities.For his part, the president of the House of Representatives of Cyprus affirmed his country's full support for Egypt's efforts to achieve economic progress, emphasizing the strength of relations between the two countries.He praised the development of the tripartite economic cooperation mechanism between Egypt, Cyprus and Greece, which is a regional model for cooperation in economic, investment and development projects between the neighboring countries, benefitting the peoples of the three countries.“We will cooperate to develop investments in both countries,” Syllouris said, elaborating that the Parliament encourages Cypriot investors to invest in Egypt, in view of the favorable environment for investors. He stressed that Egypt is a central partner of Cyprus and a key pillar for establishing security and stability in the region.He also pointed out to his aspiration to take concrete steps that contribute to strengthening bilateral cooperation and friendship between the two countries and thanked Egypt for supporting Cyprus in all international forums.Moreover, the Cypriot delegation visited the Investors Services Center and praised the speedy provision of the services by the center, which includes representatives from more than 65 entities, issuing all licenses and responding to investors' inquiries. FILE - Comedian Mustafa Khater during votingMohamed Saad during his votingشاهد .. محمد سعد أثناء الإدلاء بصوته في الاستفتاء على التعديلات الدستورية محمد_سعد #الاستفتاء شاهد ايضا http://goo.gl/hTZCtm http://goo.gl/d1r48q تابعونا على الصفحات الرسميه مواقع التواصل الاجتماعي Official website : http://videoyoum7.com/ Official Facebook Page: https://www.facebook.com/VideoYoum7 Official Twitter: https://twitter.com/videoyoum7 Official youtube : http://www.youtube.com/MubasherYoum7Ali Rabee and Os Os during votingعفاف شعيب تدلي بصوتها في التعديلات الدستورية بالمهندسين التعديلات_الدستورية #تعديل الدستور #الاستفتاء لمتابعة المزيد من الاخبار /http://www.dotmsr.com الفيس بوك https://www.facebook.com/DotMsr اليوتيوب https://www.youtube.com/channel/UC_nFSFoT0Ni-mB5GSEZ5PSQ تويتر https://twitter.com/dotmasHakim during his votingCAIRO - 22 April 2019: Comedian Mostafa Khater voted in the referendum on the constitutional amendments in Generation 2000 School in 6th of October city.Actor Mohamed Saad voted in the referendum on the constitutional amendments at the Committee of Martyr Amer in Dokki.Furthermore, comedians Ali Rabee and Os Os were keen to participate in the referendum on the constitutional amendments. The actors took many pictures with those working in the committees stressing that the Egyptian soldier is the best in the world.Veteran actress Afaf Shoaib participated in the referendum on the constitutional amendments in her electoral committee at the Awqaf Secondary Girls School in Mohandeseen.“I participated in the referendum today (April 22) for the sake of Egypt and the coming generations,” said the veteran actress.Famed singer Hakim participated in the referendum at the headquarters of Sub-Committee No. 6 at Sheikh Zayed Sports Center in Sheikh Zayed City, Giza Governorate.“Greetings to the authentic Egyptian people who stand by their country when it needs them. Long live Egypt and Egyptians around the world," said Hakim after voting. Spokesperson of the National Elections Authority (NEA) Mahmoud el-Sherif during press confrance, Monday April 22CAIRO – 22 April 2019: Security forces succeeded to foil an attempt to invalidate a voting box on Monday in Nabil al-Wakad School located in Nozha district, Cairo.It was explained in an official statement that the attempt took place by a 45-year old, unemployed man. During casting his ballot, he exchanged the voting paper with another unofficial paper, which would legally invalidate the whole box.Spokesperson of the National Elections Authority (NEA) Mahmoud el-Sherif noted to the incident during a press conference, Wondering about the reason of his attempt ‘to invalidate the voting processes'.The man will be facing charges of trying to invalidate a voting box and destabilizing the voting process on constitutional amendments.Long queues of voters have been witnessed outside polling stations since the early hours of Monday, the third and last day of the referendum on the constitutional amendments.High turnout of elderly, youth and women voters was recorded during the past two days.The referendum on constitutional amendments is held on April 20-22 domestically, and April 19-21 abroad. A total of 61 million eligible voters were called for casting their ballots in the public referendum on the constitutional amendments.The voting process has concluded abroad on Sunday and embassies started the voting count procedures.